The data is out there, but how is it being used? 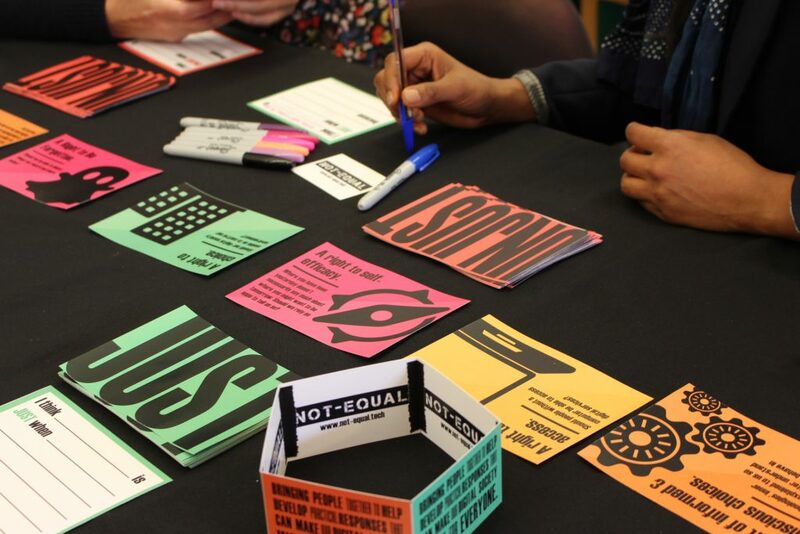 – Not-Equal | Join Network+ | Social Justice through the Digital Economy. The data is out there, but how is it being used? 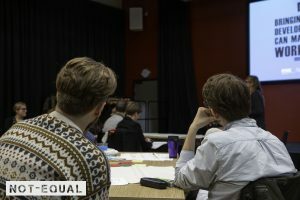 The Sharing Perspectives, Exploring Responses workshop held at in Newcastle University on the 29th November brought together people from across disciplines who are interested in issues surrounding social fairness in the digital economy. 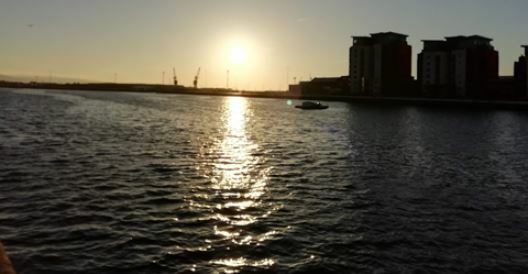 Emily Barker, Communications Officer from Open Lab at Newcastle University shares her thoughts. When I was recently applying for contents insurance for my new house, I found something strange. All the data about the house I had just moved into, already existed online. I didn’t have to input anything apart from my name, and in a few minutes they gave me a quote. Only three days later I attended the Not Equal workshop for the UKRI funded Network+ in Newcastle, and this sprang back into my head. How much public data is being used to determine important decisions in our lives? If insurance companies already know everything about my house, what other data about my life could exist without me realising? After an introduction about Network+ and Not Equal from Dr. Clara Crivellaro, the project lead, we got straight down to business. In groups, we were given two tasks focusing on: issues in areas affecting social justice in the digital economy, and trying to come up with issues and solutions for a specific scenario. The group got stuck in. Data became the central theme for the discussion, we pondered whether it would be possible to take back agency over your own personal data and how it is used. Would it shift the power dynamic if we had access to our own personal data? We quickly moved on to the wider problem of whether data based in an unjust world can ever be without bias? People can have biases too, and is it the unknown of the black box algorithms that worries people, rather than the perceived unfairness? Do we ultimately have more control over the algorithms? Public vs private data: what can the algorithms use? Despite the fact the discussions could have continued on. We were ready to face our second task – taking a scenario or process, and unpacking the issues, risks and possible opportunities around it. At first we decided to look at how insurance companies could use algorithms to decide on premiums. 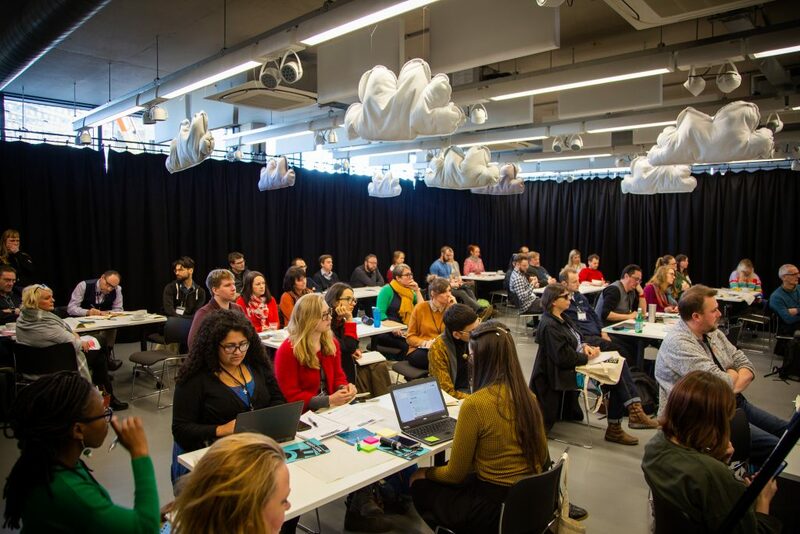 We debated whether making the data accessible to everyone would make it fairer, even opening it up to community groups who could use it to form campaigns. For example, if a community group found they were being penalised due to issues in their areas, they could use it to lobby the council. However, this rose questions touched on by other groups about putting too much focus on the individual and not holding the organisations and companies to account. One group explained that by suggesting individuals need training around data security, this could be seen to push the risk onto people rather than the institutions using it. There is also the problem of accessibility, while some people maybe confident enough to find how their data is being used, others might not. Would this create a hierarchy where only some people are able to change how their data is being used? We wondered what would happen if you took similar data but changed the context? Instead of using it for insurance, what if instead it was used to determine quality of care for elderly patients. This touched on projects that are already happening such as data sharing with the Great North Care Record. It was agreed that people from the frontlines of care should be consulted in the making of the system, and that quality checks should be built into the process to catch any issues with the data being inputted. The algorithms could potentially help save time, and money for the NHS, as well as spotting issues that might not immediately be apparent. However, we realised that the amount of data available would make a big difference. If a recent migrant only had a few years of data, compared to someone with 70 years, would they be penalised by the system? After nearly three hours of discussion, the workshop came to a close. There were lots of ideas floating around the room – from trying to hack the gig economy, by tricking algorithms that governed people’s workdays to fears around using historical data to predict the future, and the implications of that. This was the start of many discussions and great ideas that will come out of the Network+. 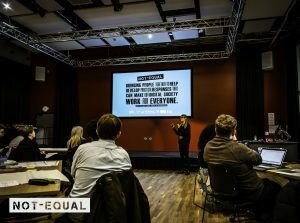 If you’re interested in taking part in the network, Not Equal has two launch events in January. Find out more here.